Malcolm Martineau was born in Edinburgh, read Music at St Catharine's College, Cambridge and studied at the Royal College of Music. He has presented his own series at St Johns Smith Square (the complete songs of Debussy and Poulenc), the Wigmore Hall (a Britten series broadcast by the BBC) and at the Edinburgh Festival (the complete lieder of Hugo Wolf). Recognised as one of leading accompanists of his generation, he has worked with many of the world’s greatest singers including Sir Thomas Allen, Dame Janet Baker, Olaf Bär, Barbara Bonney, Ian Bostridge, Angela Gheorghiu, Susan Graham, Thomas Hampson, Della Jones, Simon Keenlyside, Magdalena Kozena, Solveig Kringelborn, Jonathan Lemalu, Dame Felicity Lott, Christopher Maltman, Karita Mattila, Lisa Milne, Ann Murray, Anna Netrebko, Anne Sofie von Otter, Joan Rodgers, Amanda Roocroft, Michael Schade. Frederica von Stade and Bryn Terfel. He accompanied at master classes at the Britten Pears School in Aldeburgh for Dame Joan Sutherland, Elisabeth Schwarzkopf, Suzanne Danco and Ileana Cotrubas. 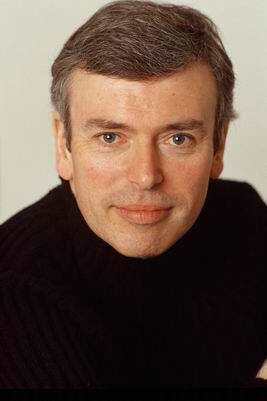 His many recordings include Schubert, Schumann and English song recitals with Bryn Terfel, Schubert and Strauss recitals with Simon Keenlyside, recitals with Angela Gheorghiu, Barbara Bonney, Magdalena Kozena and Susan Graham, the complete Beethoven Folk Songs and the complete Britten Folk Songs.